FUNSPOT is a family owned and operated entertainment supercenter, founded by Bob Lawton in 1952. It is the second largest arcade in the country with the largest selection of classic games in the world! It provides quality entertainment in an atmosphere right for the whole family! And its array of fun is continually growing. 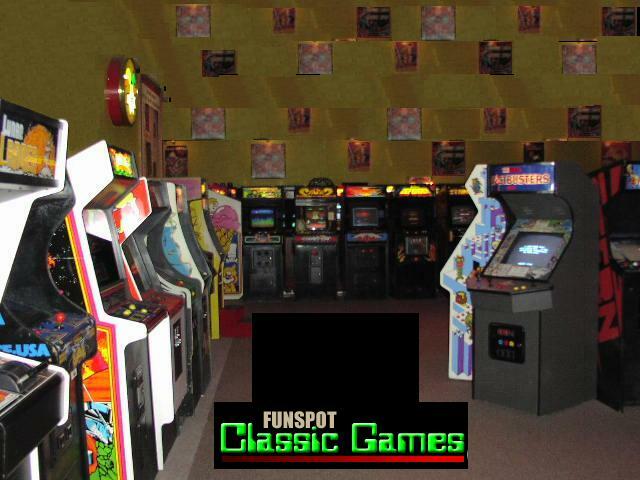 FUNSPOT now proudly offers new and classic video games, a 20 lane ten pin & candlepin bowling center, cash bingo, mini-golf, a driving range and more! On top of all these, we've just added our brand new indoor golf center! There's something for everyone! Thursday through Sunday, June 3rd - June 6th. the competition, and players traveled from as far away as Israel to attend. to the museum are tax deductible. have been directly requested by the players." new for this year, the Ladies Challenge open to the female attendees only. Simulators. Funspot is open year-round with ample free parking. "Publisher of Twin Galaxies Video Game & Pinball Book of World Records"
Mark Alpiger has a full review of the [Funspot Event] and score results.